Should I wear cotton for arc flash? I've run into this one so many times lately that I thought I should write about it here. There is still a misconception in the electrical safety world about the use of cotton clothing. Some people are worried that wearing cotton as everyday wear will be too hot so why can't you wear something made of polyester. Others just flat out think that cotton is what electricians should be wearing. In this article, I will dispell some of the misconceptions about cotton clothing with regards to arc flash and electrical safety. What should my everyday clothes be made of? So let's assume that you work in an environment were wearing arc rated shirts and pants or arc rated coveralls all the time is out of the question (maybe due to the heat)... maybe only 15% of the tasks you do are actually in front of an arc flash hazard, what type of clothing should you wear? Should I wear cotton the other 85% of the time because I'm an electrician? Well... this might surprise you, but I'm going to say it doesn't matter (as far as arc flash goes). If there is no hazard there is no need to protect against it. The most important consideration you need to make is whether or not there truly is no arc flash hazard present, and if not, what is the greatest hazard you have to deal with next? Is it heat exhaustion? Is it extreme cold? Wear something that is going to be suitable for what you are doing. First of all, I'd like to completely erase this "cotton is good" idea from people's minds. If you were wearing a cotton shirt and exposed to an arc flash it's going to go up like a roman candle. Now, as opposed to polyester (or a similar fabric), cotton is not going to melt to you, which is nice but it's still going to burn! This probably is where most of the confusion comes from. Cotton doesn't melt so it was always deemed the safer to be used as an undergarment but it was never intended to be used as a replacement for arc flash protection. My recommendation is to wear only arc flash rated PPE when working with electrical equipment. Just skip the other fabrics altogether, you don't need them and it just confuses the matter. 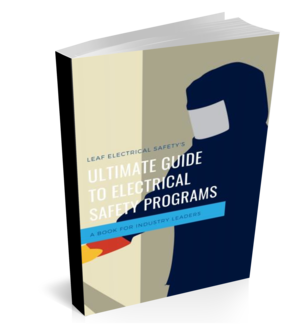 How to kickstart your electrical safety program. What makes an arc flash explode?